Watching movies is one of the things my family and I love doing. 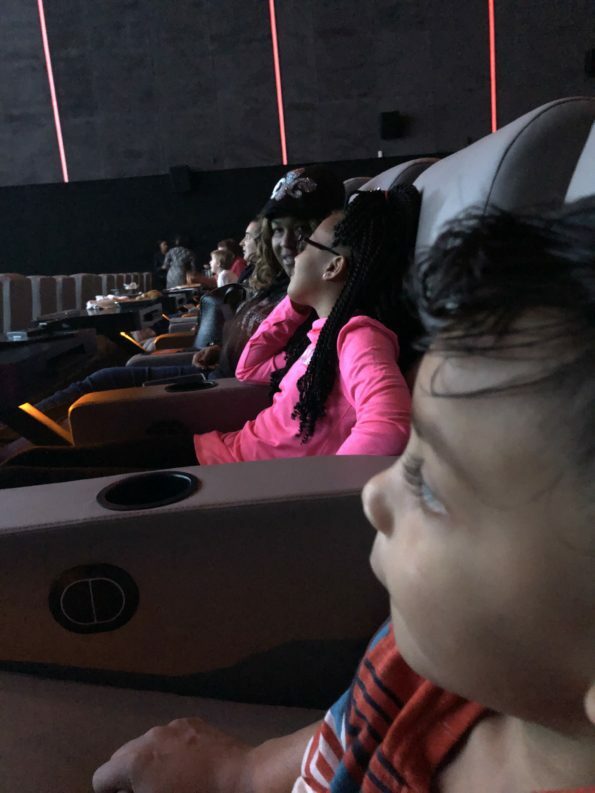 We watch a lot of movies at home as well as going to the movies. A few years ago we went to our first Star Cinema Grill while traveling. 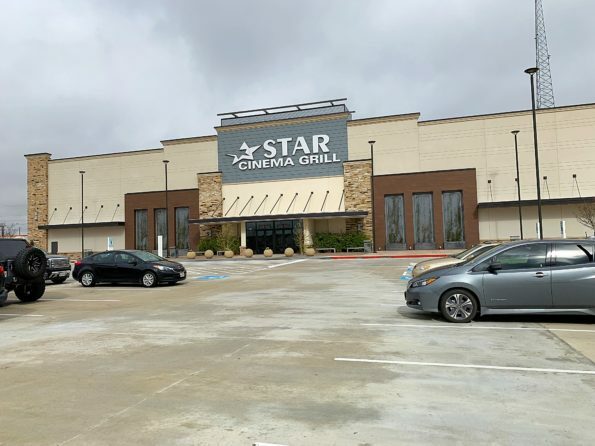 At the time we were living in Youngsville, Louisiana and there is not a Star Cinema Grill in the area. When we moved to Texas, we found a Star Cinema Grill less than 10 minutes from our home. We were stoked. 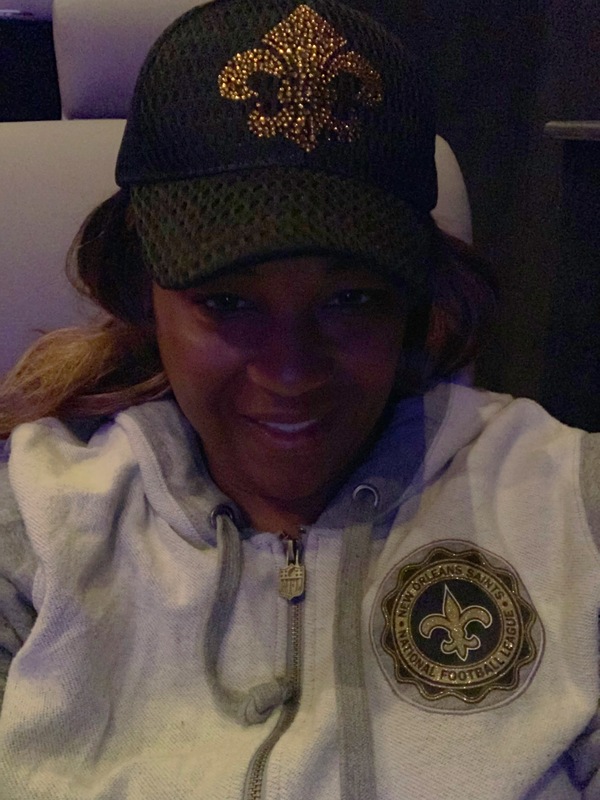 We attend movies together but I often enjoy going to the movies alone. 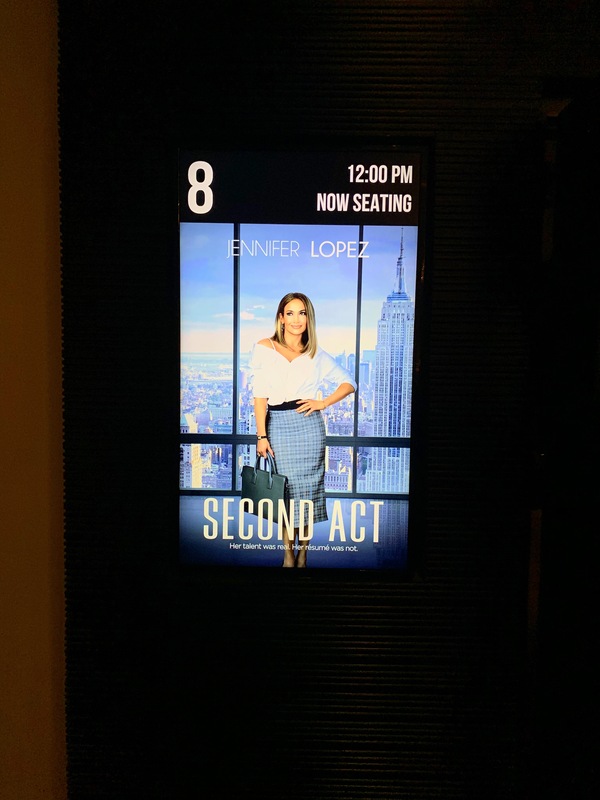 I wanted to see Second Act with Jennifer Lopez. So I decided to purchase a ticket and go while the kiddos were in school as a day of relaxation. 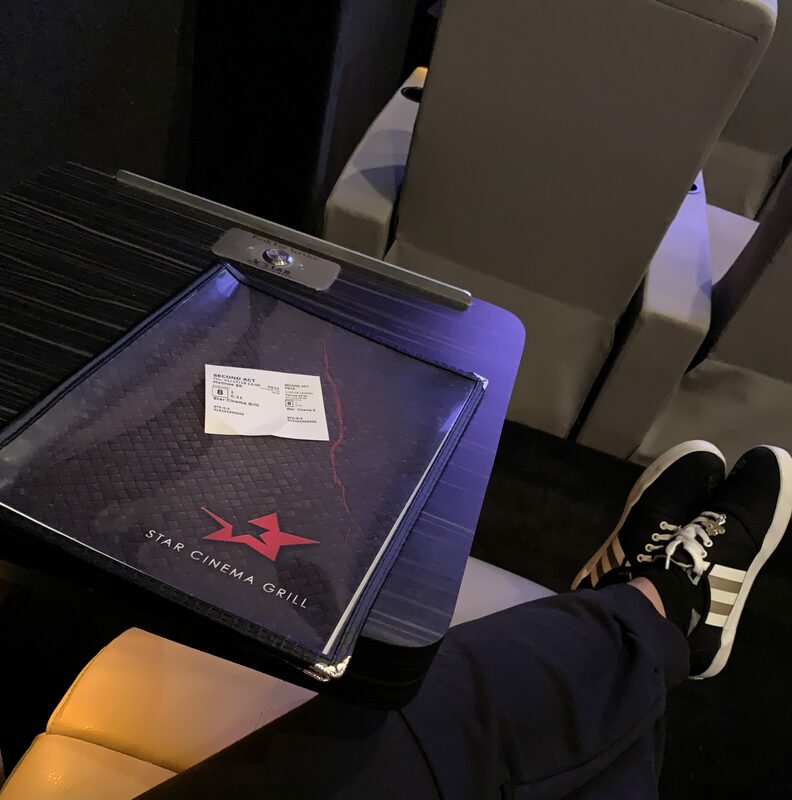 I purchased my seat online for the movie. You are able to choose whatever seat you want. So if you are a middle of the section kind of person then choose that seat. I received an email confirming my purchase. 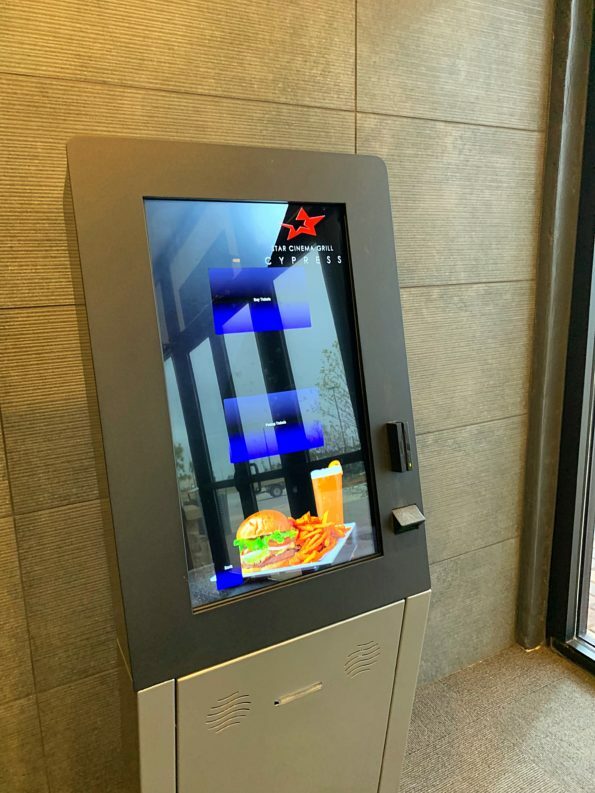 I headed to the theater, as you enter their is a kiosk for pre-ordered tickets. You can swipe your credit card used for purchase or you can scan the barcode from your email received confirming the purchase. Once I scanned the barcode, my ticket came out. 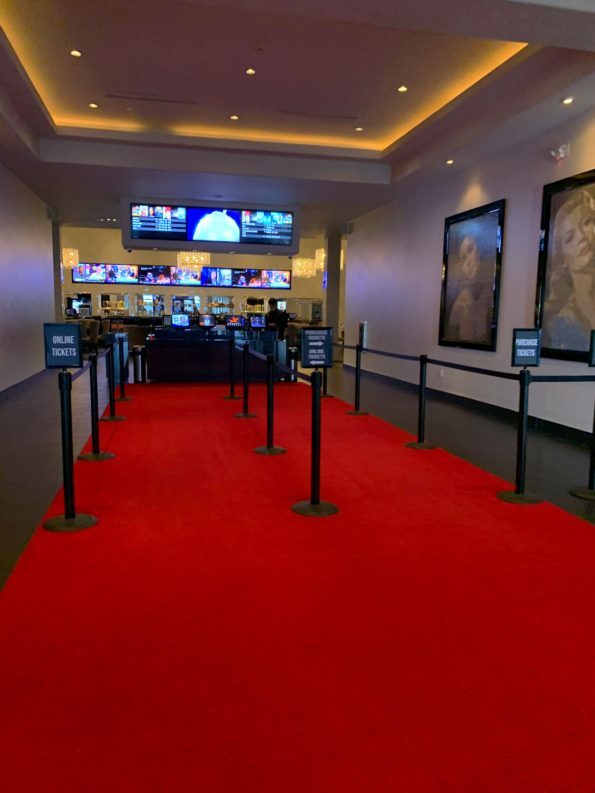 As I walked to the counter, I loved that there is a red carpet leading you in. I handed the ticket to the guy collecting them and he showed me where the theater room was. 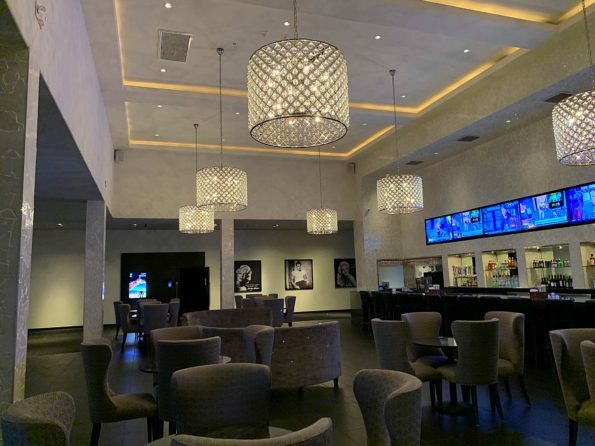 There is a bar area that is the focal point of the entrance. The chandeliers were gorgeous. There is also an area to dine before or after the movie. Arriving early? 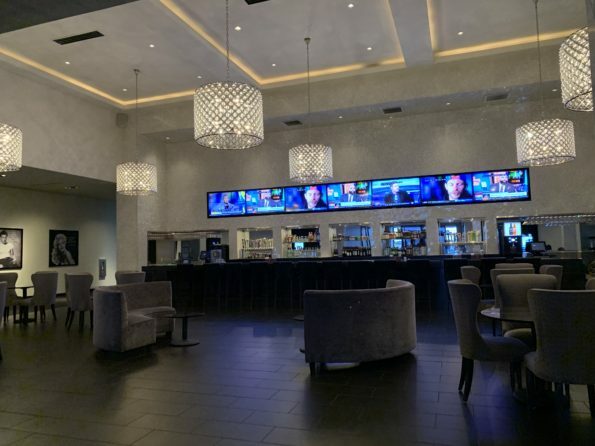 Grab a drink before going into the theater. As soon as I was seated the waitress arrived. I asked for some time to peruse the menu. I decided what I wanted and pressed the order button. There is a button on the food tray right in front of the recliner. 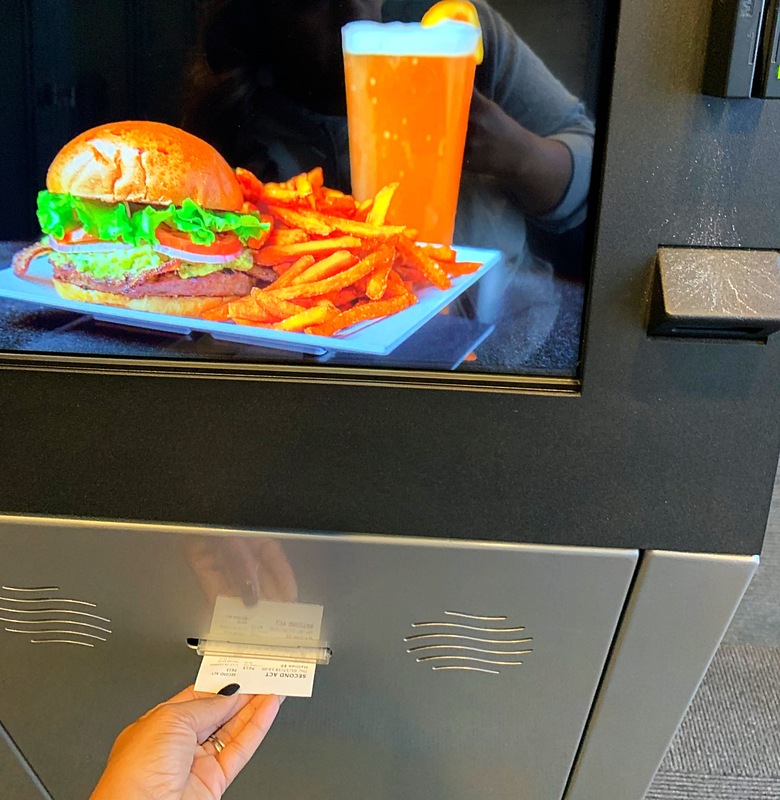 The button calls the waiter or waitress to come and take your order. I started with a Sprite for my drink and the Fantastic Four. The Fantastic Four included your choice of four of these options, chicken wings, fried cheese, regular sweet potato or regular fries, Texas toothpicks, southwest egg rolls or fried pickles. 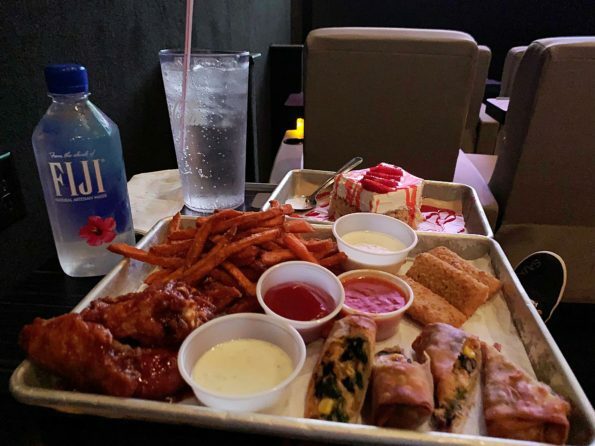 I chose the traditional fried chicken wings with tan, fried cheese, sweet potato fries and the southwest egg rolls. The appetizer was a good choice. This allowed me to have a little bit of everything. The appetizer was bigger than I thought. I couldn’t eat it all. 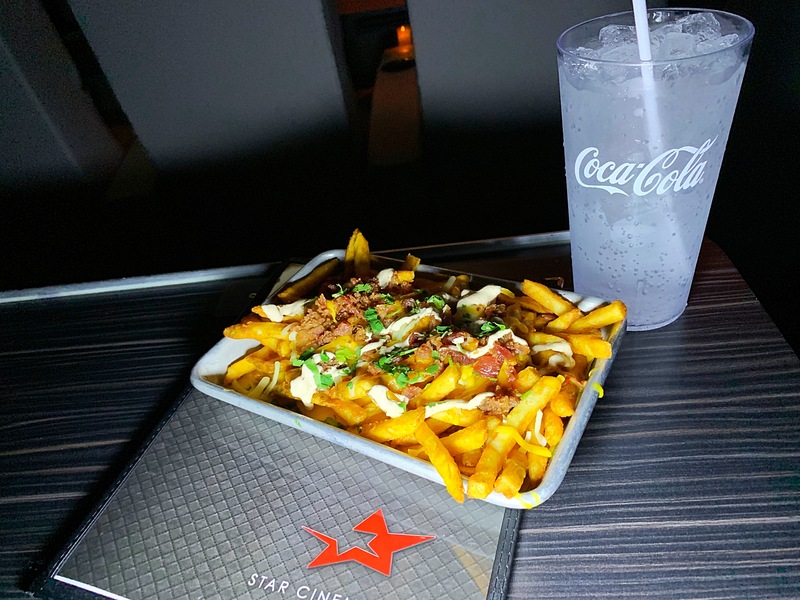 One of my other favorite items to eat while watching a movie, is the Loaded Fries. The fries are topped with queso cheese, bacon, mixed cheese, seasoned sour cream and cilantro. So good. There is also options for kiddos. Cheese Quesadilla with fries. Perfect choice for kids. I wanted a little something sweet so I tried the Tres Lesches. 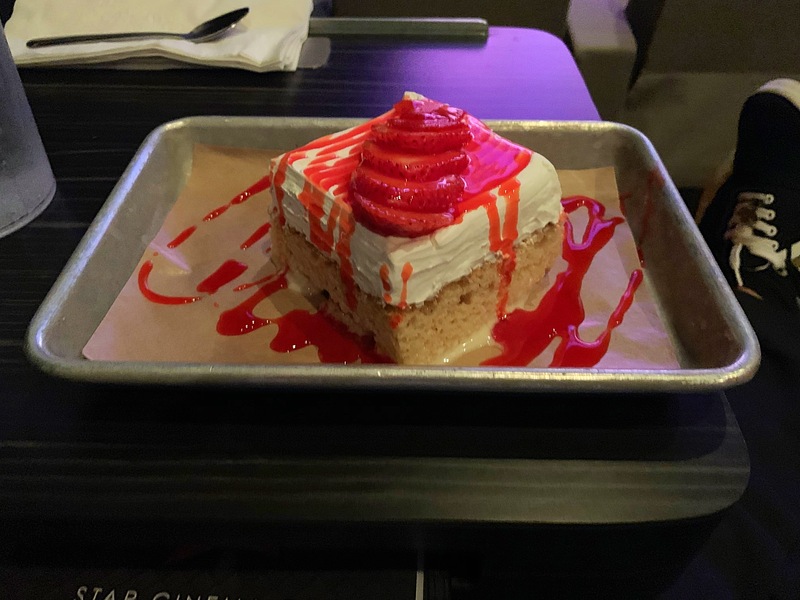 The dessert included a Vanilla Cake soaked with sweetened cream and sliced strawberries and a drizzle on top. This cake was superb. A sweet finish. About 15 minutes before the movie was over, the waitress returned asking if I needed anything else. I told her no and she returned with my ticket. I signed right before I left the theater. Super Easy. As I said the Movie was Second Act. I won’t give any spoilers for the movie, but I will say the movie was emotional, funny, touching and encouraging. The movie was so good! Overall, my time at Star Cinema Grill was relaxing. I needed a day off to relax and just enjoy a few hours of fun and relaxation. The movie was great. The recliners are so comfortable. I felt like I was in the comfort of my own home. The food was good. Served to order. One of the things I love about the menu offering is that the menu also offers healthier options to chose from. A menu that caters to the food needs of everyone. 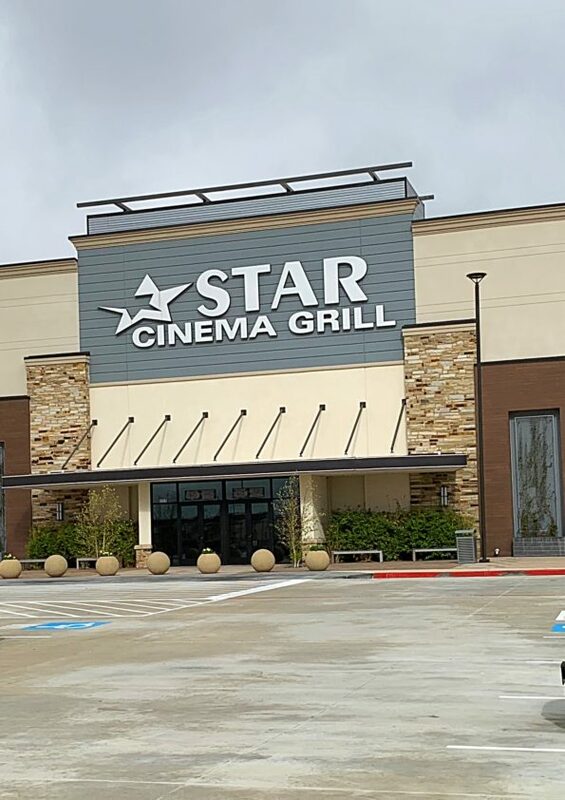 Also if you have a child that may have sensory issues, Star Cinema Grill offers certain movies through out the month. 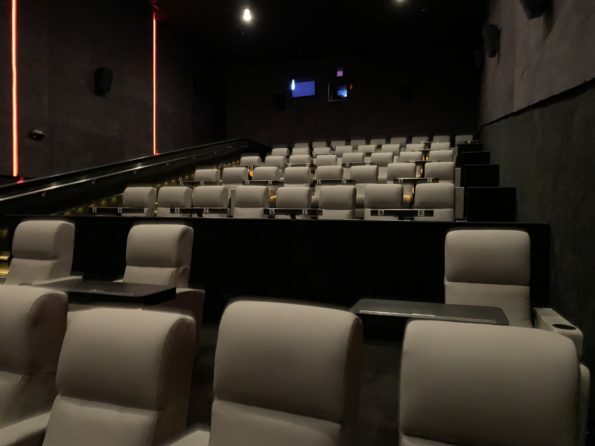 The theater lights remain on and the volume is lowered. The kids can talk, move around or dance. I love this idea. 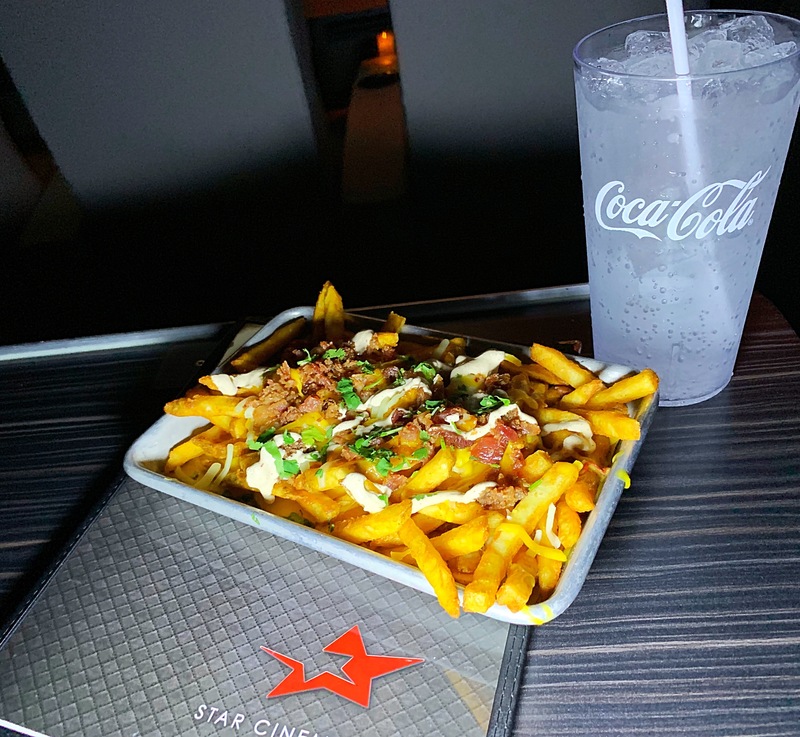 Star Cinema Grill is a favorite spot for me and my family for movies. Star Cinema Grill is my Favorite Things Friday! Be sure to tell them that Da’ Stylish Foodie sent you!